Welcome to the August 2011 issue of the All About Psychology Newsletter. I've just started with Google + and so far so good. I think it has lots of potential for sharing psychology resources and free real time interactive learning. 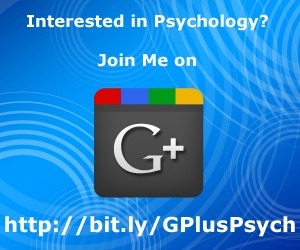 If you are up and running on Google + please feel free to circle me via the following link. Does our cultural background influence the way we think and feel about ourselves and others? Does our culture affect how we choose our partners, how we define intelligence and abnormality and how we bring up our children? Psychologists have long pondered the relationship between culture and a range of psychological attributes. Cultural Issues In Psychology is an all round student guide to the key studies, theories and controversies which seek to explore human behaviour in a global context. 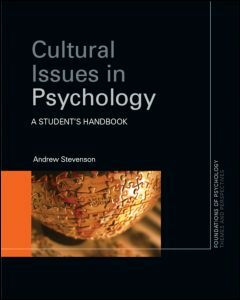 With insightful classroom activities and helpful pedagogical features, this detailed, yet accessibly written book gives introductory-level psychology students access to a concise review of key research, issues, controversies and diverse approaches in the area of culture and psychology. This post consisted of a link to a podcast broadcast featuring experts in the field discussing a number of issues including just how and why narcissists and sociopaths might be a bigger part of your life than you imagine. 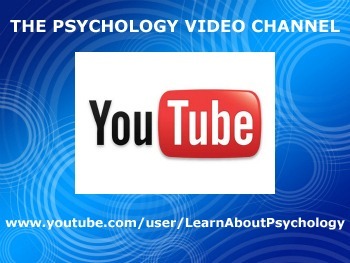 Psychology TED talks is the latest playlist to be added to the YouTube Psychology Video Channel. This wonderfully diverse collection of psychology related videos from one my all time favorite websites including talks by Steven Pinker, Martin Seligman, Oliver Sacks and Philip Zimbardo. You can access all the videos in the playlist via the following link. In still another of Professor Skinner's exhibits, which demonstrates competition, the birds play a modified game of ping-pong. Considerably smaller than regulation size, being about two feet square, and has no net. One pigeon, using his beak, tries to bat the ball past his opponent. Rallies sometimes go to three or four shots but most of the shots are "aces." The winner is rewarded with food after each shot. 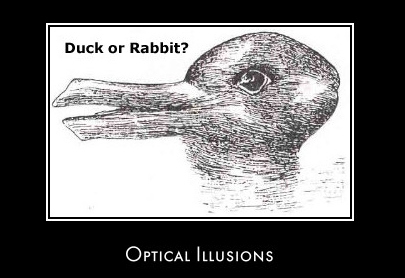 See following link to learn all about and explore the fascinating world of optical illusions. 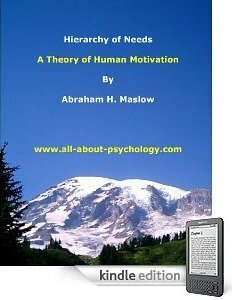 To get the most out of your interest in psychology connect with me on facebook and twitter and don't forget to download your free psychology guide - a comprehensive resource designed to help psychology students at each and every stage of their educational journey.